A substantial detached bungalow in a peaceful semi rural position, with good views of adjoining farmland and countryside. 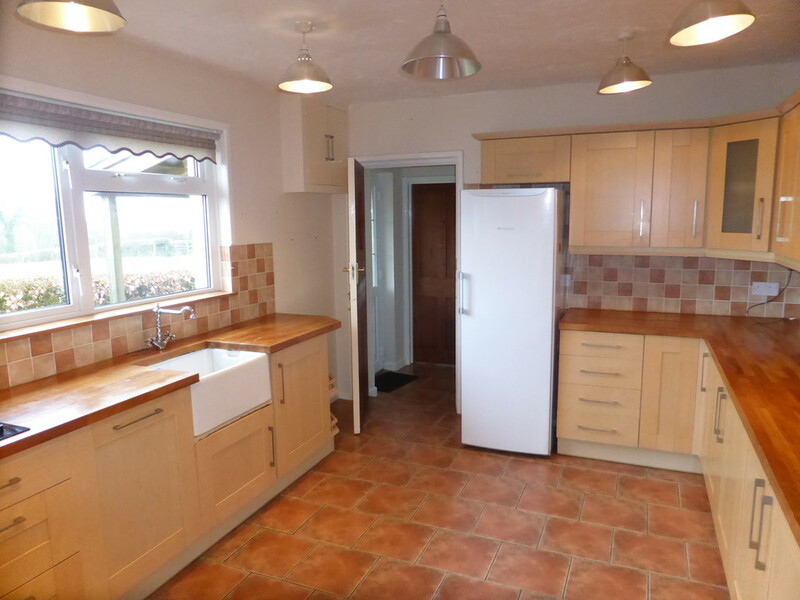 Three bedrooms, two reception rooms, double garage and large garden. No onward chain. 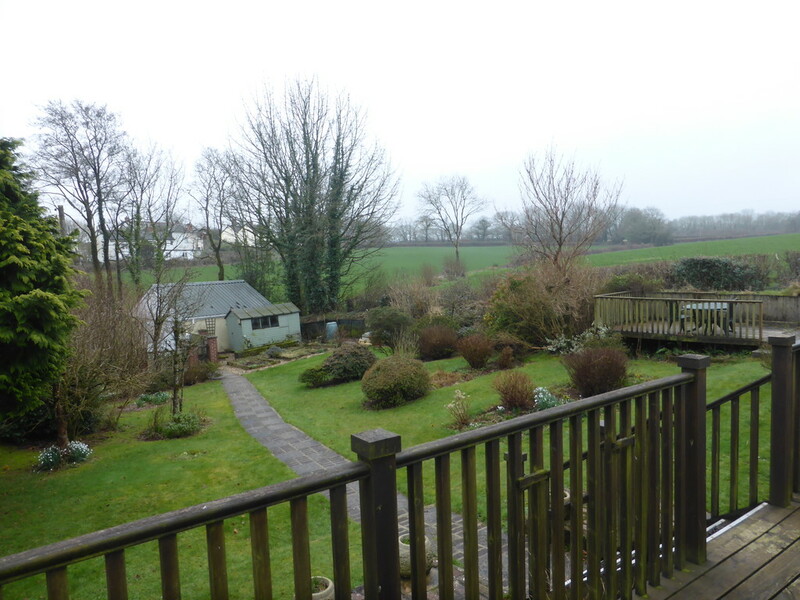 SITUATION AND DESCRIPTION This fine property is situated in a quiet semi-rural, south facing position, just a short distance from the village centre of Holemoor, adjoining open farmland to the side and rear and views of surrounding countryside. Holemoor, Bradford is a pretty Devon village and civil parish in the local government district of Torridge, Devon, England. The parish, which lies about six miles east of the town of Holsworthy has part of its eastern boundary formed by the River Torridge. 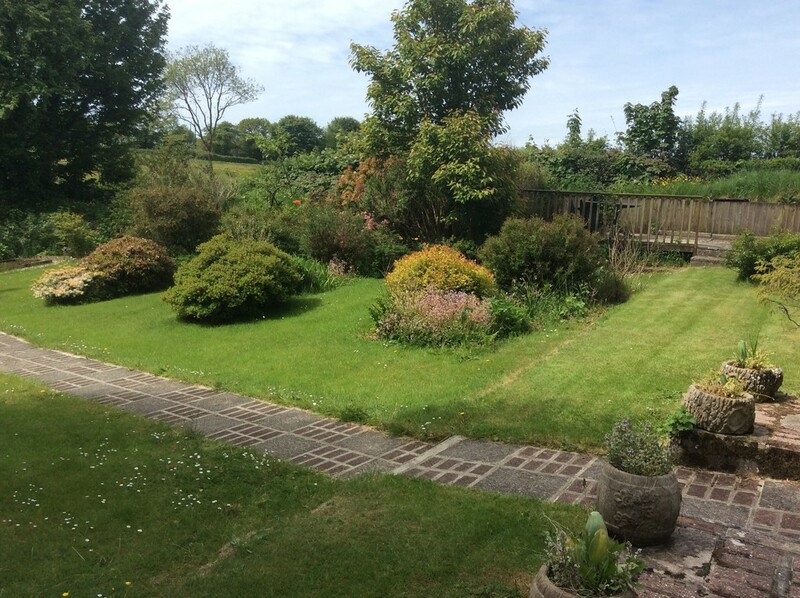 The location offers good access to the larger towns of Holsworthy, Hatherleigh and Okehampton. The North Cornish coast is only 15 miles away meaning that there are beautiful walks available on either Dartmoor or the coastal path as both are less than 30 minutes drive from the property. The market towns of Okehampton and Holsworthy both offer secondary education along with a wide range of local and national shops to include a Waitrose. Within the hamlet there is a primary school. 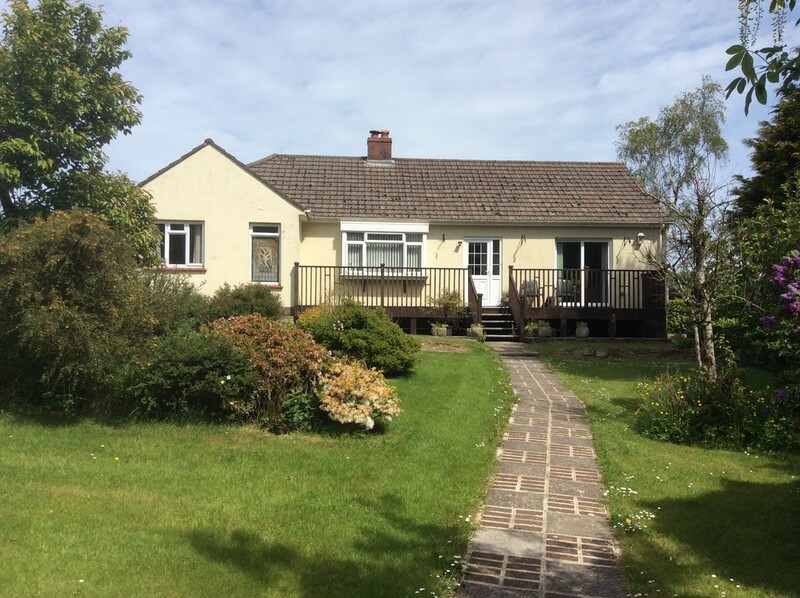 A spacious detached bungalow, situated in good sized gardens, with pleasant rural outlooks to adjoining farmland and surrounding countryside. 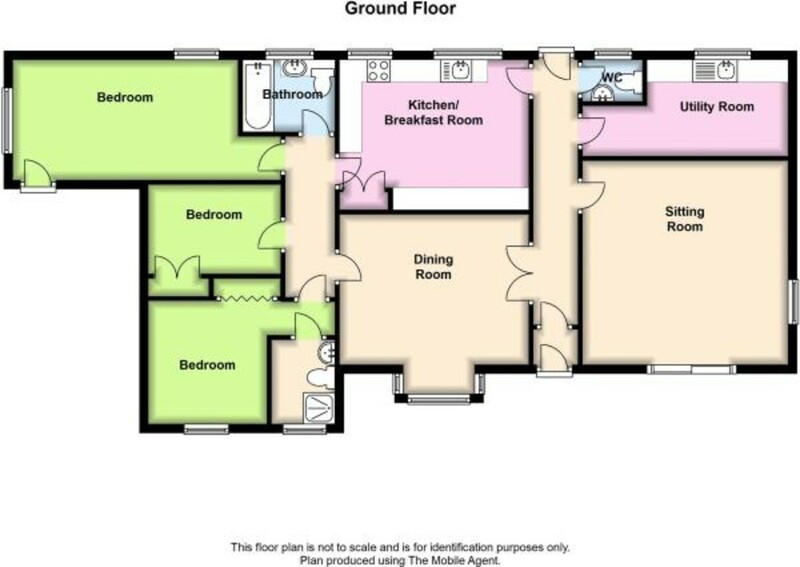 The property is believed to have been built in the 1960's, with a later substantial extension to provide accommodation as follows: entrance porch; hallway; dining room; kitchen/breakfast room; utility room; cloakroom; three bedrooms, with ensuite shower room to the master bedroom; family bathroom. The loft space is suitable for conversion to at least one additional bedroom with ensuite, if so desired and subject to the necessary permissions being granted. There is power and lighting connected and a window to the gable end. To the outside are good-sized, well tended gardens, predominantly laid to lawn and beds, ideal for the enthusiastic gardener. There is a double garage and additional off road parking for several cars. The property has full double glazing, oil fired central heating and a sole, private drainage system via a modern Klargester 'clean water' treatment system. We are delighted to be appointed as sole agents for the sale of this fine property. Viewing is highly recommended. NO ONWARD CHAIN. HALLWAY PVCu double glazed door to the rear. Feature stained glass window alcove. 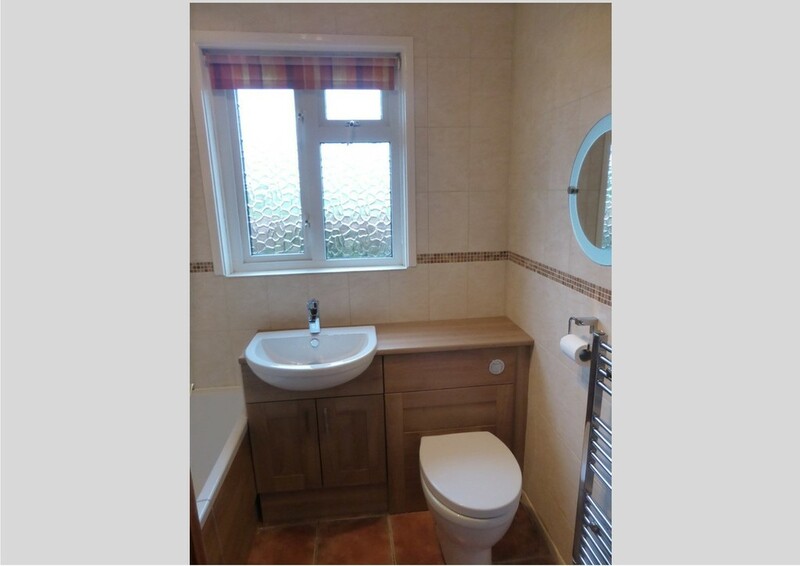 Tiled floor, radiator, telephone point and access to the boarded and fully insulated loft space. The loft has a fitted ladder and power and lighting connected. There is a window to the gable end and could offer scope for conversion to extra accommodation, if so desired. 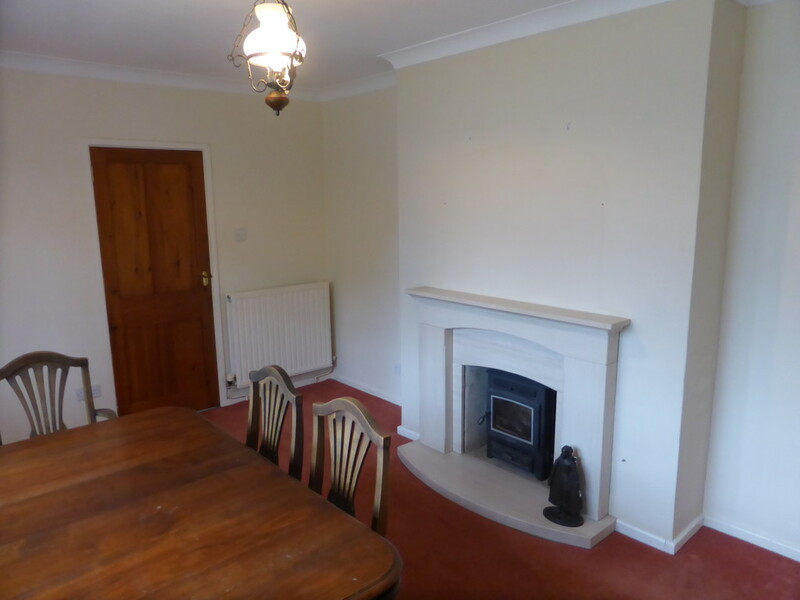 SITTING ROOM 14' 11" x 14' 11" (4.55m x 4.55m) Dual aspect reception room with PVCu double glazed window to the side in addition to uPVC double glazed sliding patio doors to the front enjoying views over the garden and surrounding countryside. Fitted carpet, radiator, wall lights, ceiling light and television point. DINING ROOM 15' 5" x 11' 1" (4.74m x 3.39m) Front aspect PVCu double glazed bay window with deep window sill overlooking the garden and rural views. Marble fireplace housing with fitted multi-fuel stove. Fitted carpet, radiator and television point. KITCHEN/BREAKFAST ROOM 15' 5" x 10' 11" (4.72m x 3.35m) A fitted, matching range of eye and base level kitchen units including glazed display cabinets and built-in wine rack. Solid wood worksurface incorporating Butler sink with ceramic draining board and electric hob with extractor over. Integrated double oven and dishwasher. Space for full height fridge/freezer. 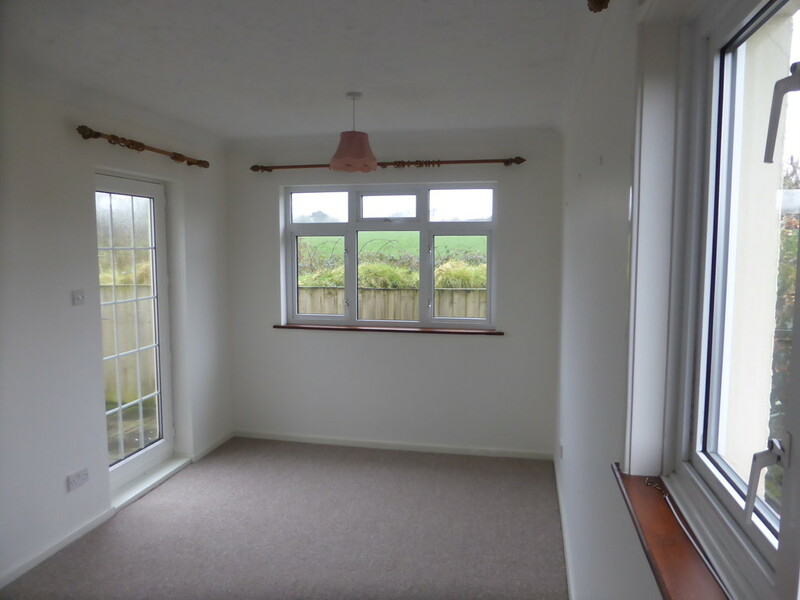 Two rear aspect PVCu double glazed windows with good views of adjoining farmland. Airing cupboard housing the factory lagged hot water cylinder and fitted shelves. Tiled floor and ceiling lights. TV connection. UTILITY ROOM 14' 11" x 6' 11" (4.58 max x 2.15 max) Rear aspect PVCu double glazed window. Eye and base level units with worksurface over incorporating stainless steel sink/drainer unit. Space and plumbing for washing machine. Large built-in storage cupboard. Oil-fired boiler serving the domestic hot water and central heating systems. Tiled floor and central heating controls. CLOAKROOM 5' 7" x 3' 9" (1.71m x 1.15m) Rear aspect PVCu double glazed opaque window. Low level flush WC and pedestal wash hand basin. Tiled floor, radiator and shaver point. BEDROOM ONE 9' 8" x 8' 11" (2.97m x 2.77m) Front aspect PVCu double glazed window with rural views. Built-in wardrobe with folding doors. Fitted carpet and radiator. BEDROOM TWO 16' 6" x 8' 9" (5.03m x 2.69m) Triple aspect bedroom with PVCu double glazed windows to the side and rear in addition to a PVCu double glazed door giving access to the side. 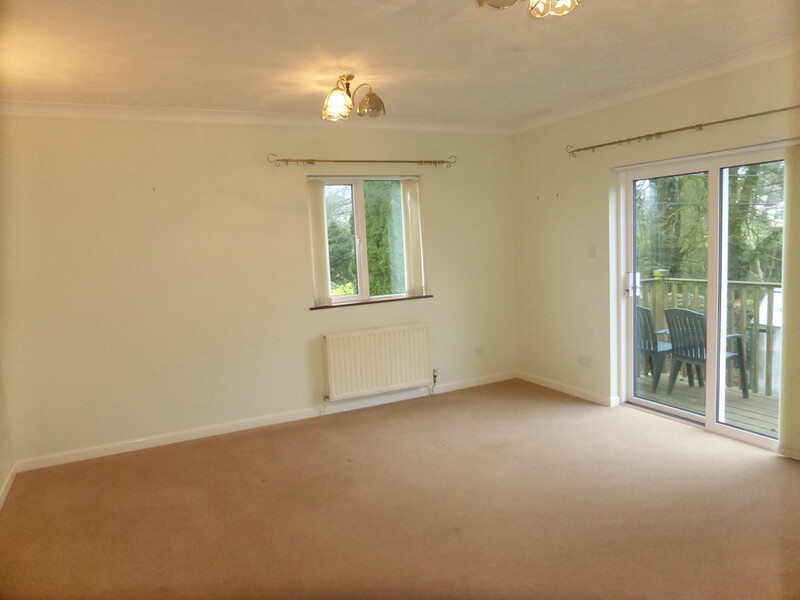 Good views of surrounding countryside to all sides Fitted carpet, radiator. Hatch to loft space. BEDROOM THREE 9' 8" x 6' 7" (2.97m x 2.02m) Side aspect PVCu double glazed window with rural views. Built-in wardrobe. Fitted carpet and radiator. 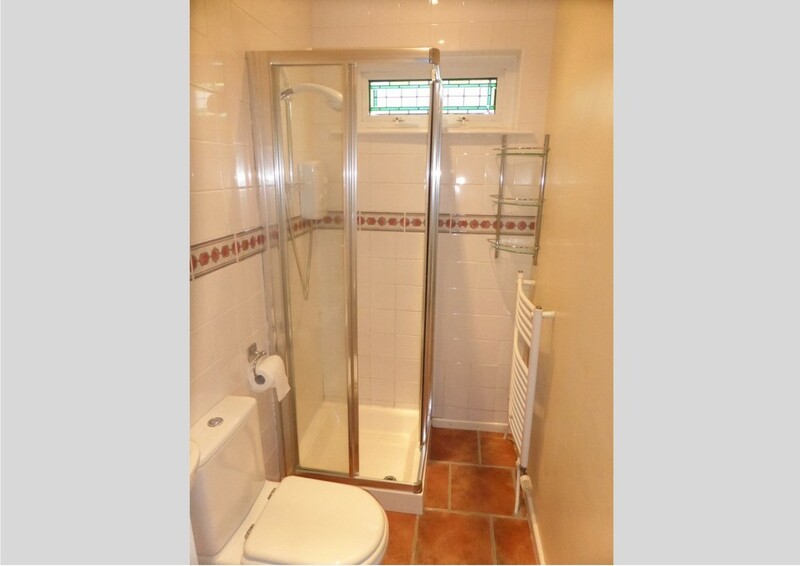 BATHROOM 6' 3" x 5' 6" (1.91m x 1.68m) Rear aspect PVCu double glazed opaque window. Panel enclosed bath with power shower over, vanity unit with WC, wash basin and cupboard below. 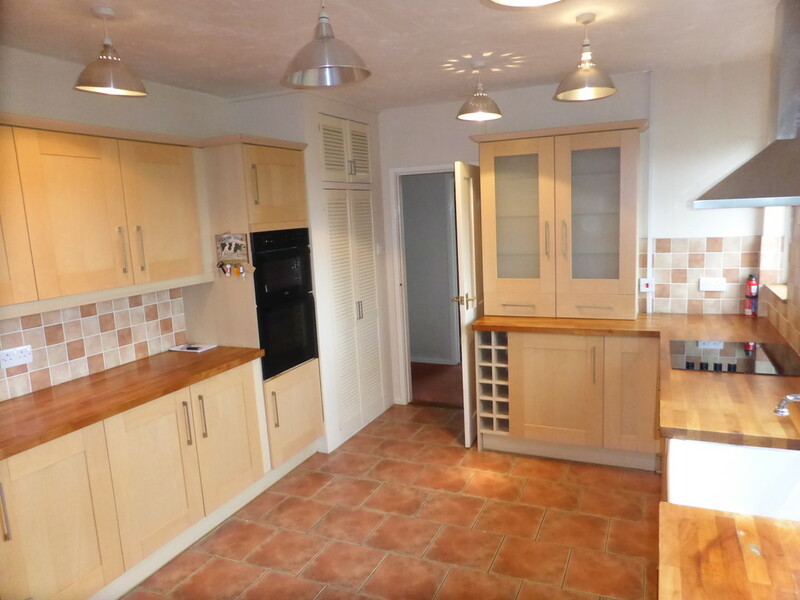 Fully tiled walls and floor, extractor fan, shaver point, spotlights and heated towel rail. DOUBLE GARAGE 18' 9" x 15' 9" (5.72m x 4.81m) With remote controlled electric up-and-over door, two PVCu double glazed windows, power and light connected, two external lights. GARDENS Small gravelled amenity area to one side of the garage. A gate leads to the main front garden which has been beautifully landscaped. Garden Shed with power and light connected. Collection of raised vegetable beds. 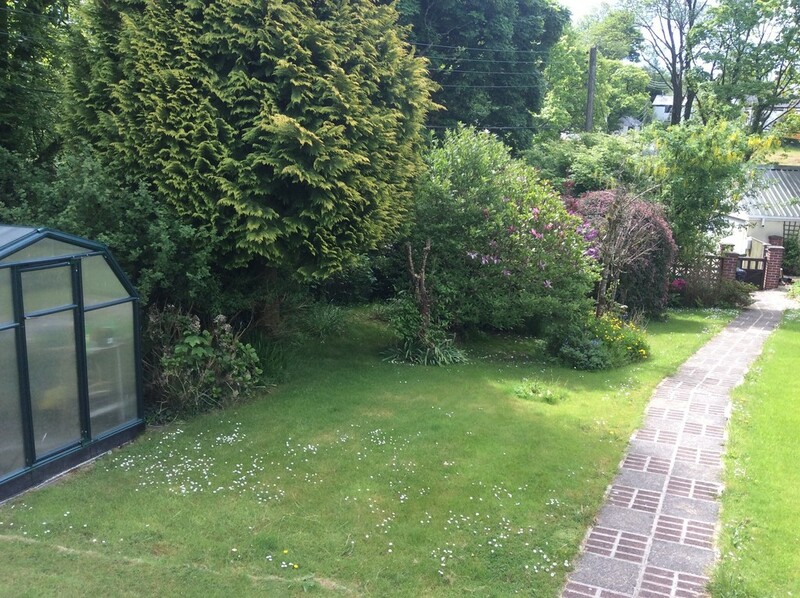 The rest of the garden consists of lawn with an abundance of trees, plants and shrubs. A pathway through the centre leads to the front door with steps rising to a decked area at the front, plus steps to a further decked seating area to one side making an ideal area for al-fresco dining. There is a wooden framed Greenhouse and gravelled side garden accessed through a brick arch making an ideal clothes drying area. Further Timber Garden Shed with power and light connected. Oil tank. The property backs onto open fields to the rear. There is a concrete path which runs along the rear with outside tap. There are numerous outside lights around the bungalow. To the other side of the property is a patio area with flower bed and gate to the front garden. 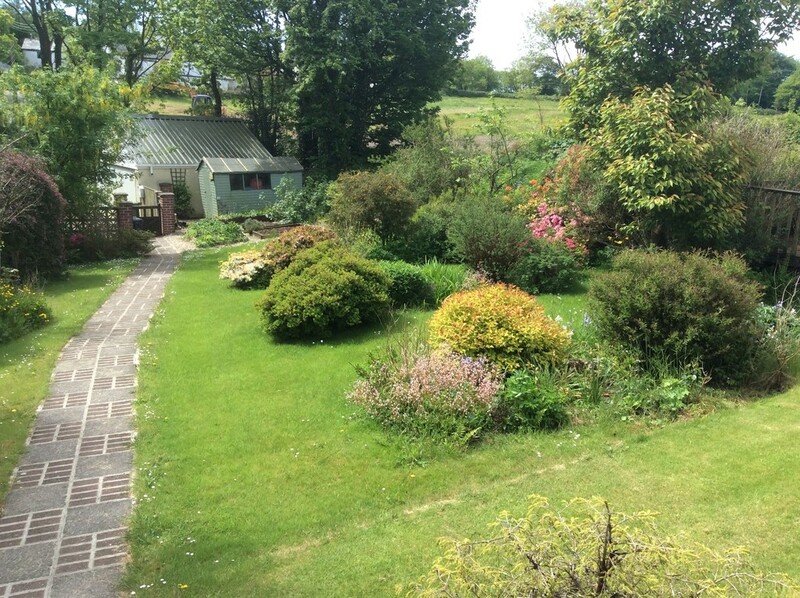 It can also be accessed via Bedroom Two, and there are pleasant countryside views. 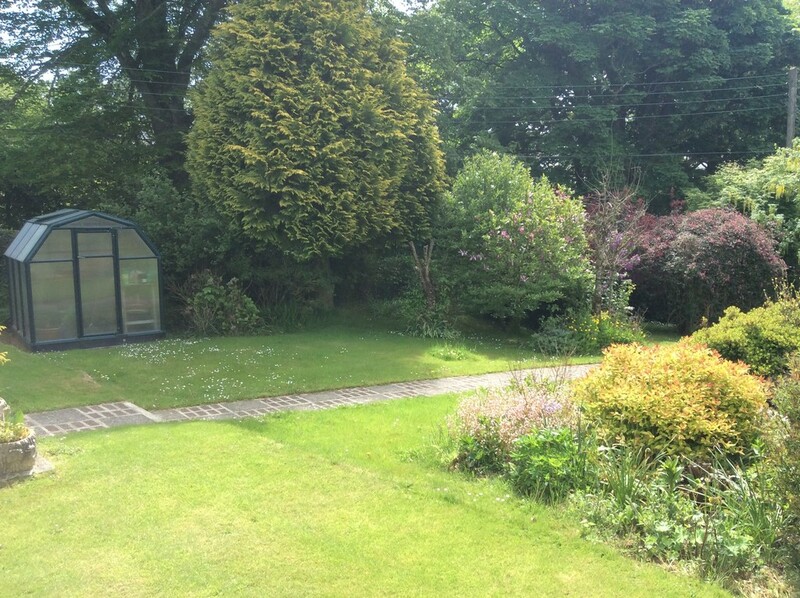 Perfect for those who enjoy gardening and the peace and tranquillity that this location offers. 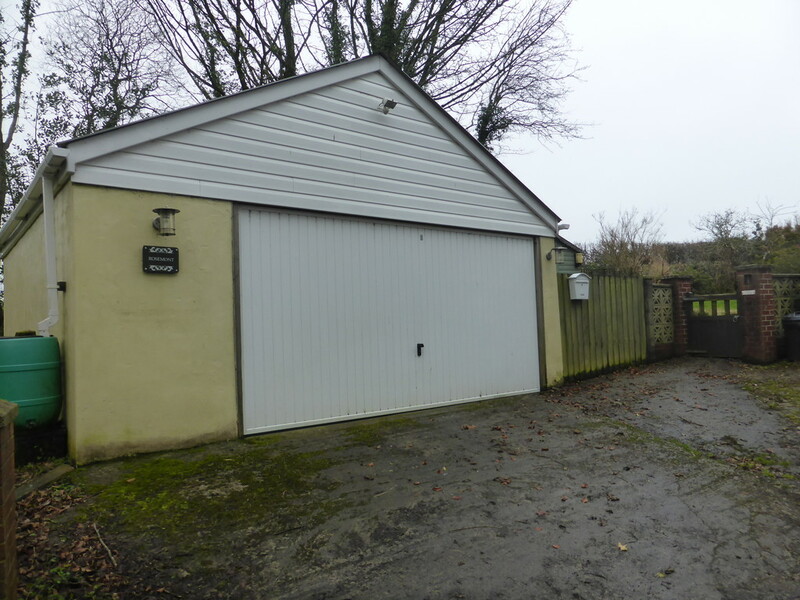 OUTGOINGS We understand this property is in band E for Council Tax purposes (Torridge District Council, PO Box 24, Bideford, Devon, EX39 2YS. Tel 01237 428900). 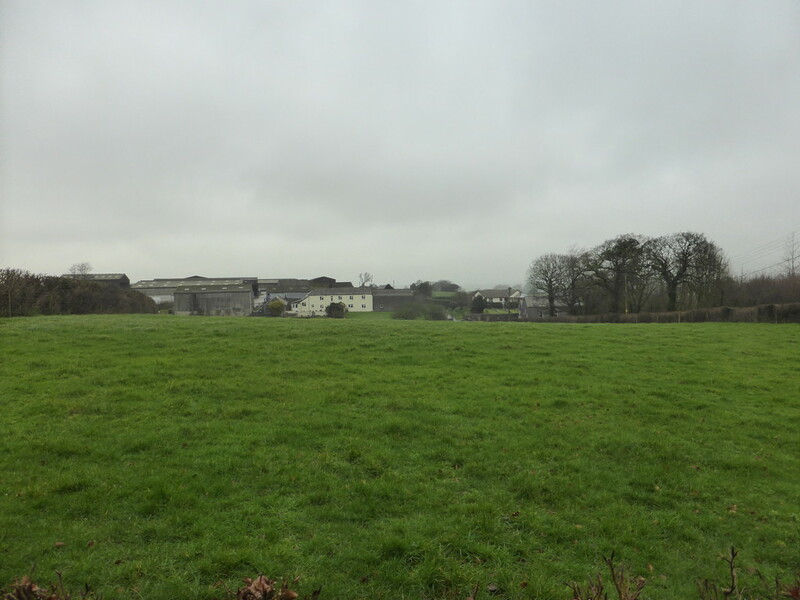 DIRECTIONS From our offices in Okehampton, leave the town in a westerly direction and continue for 1.5 miles, turning right on to the A3079 Holsworthy/Bude. Follow the road for approximately 15 miles, passing through the village of Halwill Junction. At the T Junction of the A3072, turn right signposted to Hatherleigh, Highampton etc. and after quarter of mile, turn left by The Bickford Arms Public House, signposted Bradford, Cookbury, Thornbury etc. Continue for approximately 1.5 miles in to the village of Holemoor. In the centre of the village turn left, signposted to Bradford whereupon the property will be found a very short distance on the left hand side, identified by a Mansbridge Balment For Sale board.